National Progression Awards (NPAs) assess a defined set of skills and knowledge in specialist vocational areas, linked to National Occupational Standards. The NPA in Accountancy at SCQF level 6 introduces learners to fundamental knowledge and skills relating to the study of accountancy, and allows for progression to other accounting-related programmes in both the further and higher education sectors, as well as providing progression to or within employment. 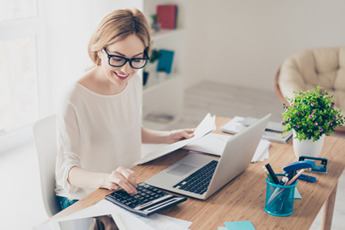 This NPA develops knowledge and skills in locating, preparing, recording, interpreting and analysing routine and complex accounting information. It provides learners with an understanding of accounting standards and practices, and of the ethical responsibilities of an accountant. The NPA was specifically developed to meet the knowledge component of the SCQF level 6 Foundation Apprenticeship (FA) in Accountancy. The NPA in Accountancy at SCQF level 6 consists of 5 mandatory units (24 SCQF credit points at SCQF level 6 and six SCQF credit points at SCQF level 5). This NPA is a mandatory component in the SCQF level 6 Foundation Apprenticeship (FA) in Accountancy. Assessment will be a combination of practical and knowledge assessments under closed- and open-book assessment conditions. See the assessment and evidence requirements for each unit.